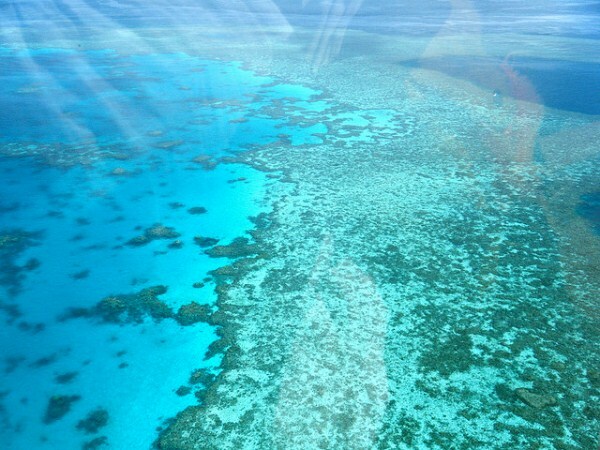 Australia's Great Barrier Reef Marine Park Authority (GBRMPA) on Friday approved the dumping of up to three million cubic metres of dredge material within the park's boundaries. The decision follows the government giving the green light to a major coal port expansion for India's Adani Group on the reef coast in December, under some of the strictest-ever environmental conditions. The plan will see Adani dredge some three million cubic metres from the seabed to allow for freighters to dock at the port in Abbot Point, lifting the facility's capacity by 70 percent to make it one of the world's largest coal ports. Conservationists have warned it could hasten the demise of the reef, which is already considered to be in "poor" health, with dredging smothering corals and seagrasses and exposing them to poisons and elevated nutrients. The reef is already facing pressures from climate change, land-based pollution and crown of thorns starfish outbreaks. GBRMPA chairman Russell Reichelt said he recognised there was intense community concern and debate about the application by North Queensland Bulk Ports Corporation to dispose of dredge spoil in the park. But he said allowing the project to proceed would help contain development to existing ports, and the reef itself and seagrass meadows would still be protected. "This approval is in line with the agency's view that port development along the Great Barrier Reef coastline should be limited to existing ports," he said. "It's important to note the sea floor of the approved disposal area consists of sand, silt and clay and does not contain coral reefs or seagrass beds." The GBRMPA, whose board is currently under investigation for its links to the mining industry, added that the strict environmental conditions imposed on the project by the federal government would help protect the reef. WWF Australia has said the material dredged during the port expansion would be enough to fill 150 000 dump trucks that "lined up bumper-to-bumper would stretch from Brisbane to Melbourne", a distance of more than 1 000 km. I'm a 29 year old woman looking to meet men between the ages of 25 and 80.